We provide unparalleled behavioral insights with our scientific validation and history, ability to report on hidden behavioral needs, focus on positive psychology and in-depth reporting options. With multiple applications from one robust dataset, explore our collection of eBooks to examine how Birkman improves career trajectory, team performance, personal relationships, and more. 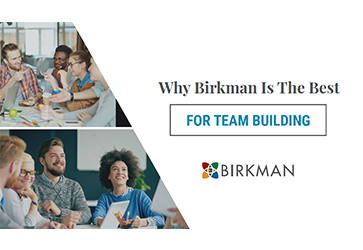 Birkman eBooks dive into some of the topics that impact our daily lives: workplace communication, trends in the workforce, company culture, career exploration, and even personal relationships. The Birkman blog, Perception Connections, is a great place to see more articles on these topics as well.